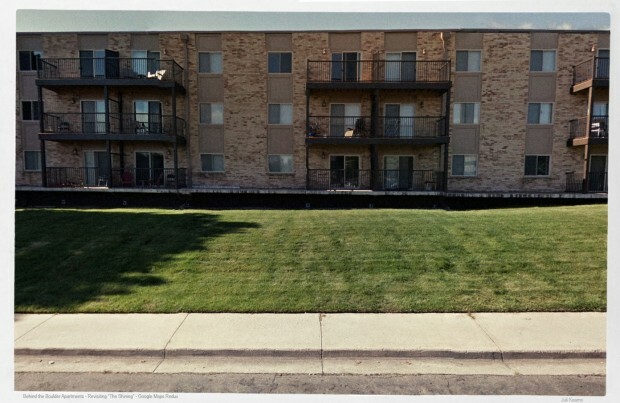 Thank you to Tom Rouse who left the coordinates for the Boulder apartment complex of the Torrances (the facade) in a comment on an article at the Examiner. 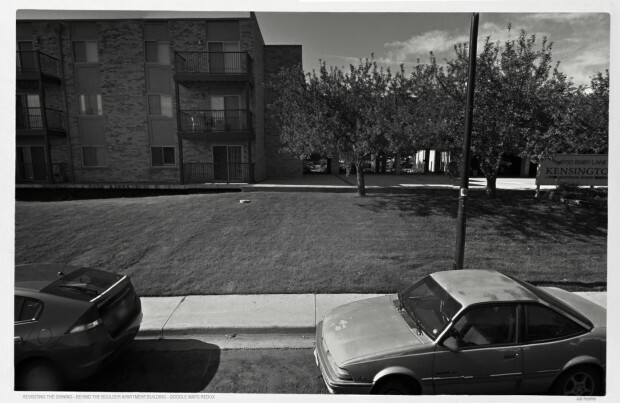 He misnamed the apartment complex as the Kimberly when instead it is the Kensington. The Kimberly apartments are in roughly the same area, about two miles distant on Thunderbird Circle. The Kensington apartments are at 2950 Bixby. But no matter the misname! He left the coordinates! Thank you! The complex (pretty large) has buildings on four sides, for which reason I was unable to get a view of the mountains from beyond the parking lot, and so settled on a view of the rear of one of the buildings near an entrance. Here is their FB page where you can some sample pics of apartments. Here are reviews on them at apartment ratings. Sounds like the kind of inbetween here and there place at which the Torrances might have landed. They’re right off Highway 36, and a couple of blocks over you can still get a good view of the mountains from the highway. Back in 1980 the Kensington was probably the very edge of town, and is still pretty close to it. 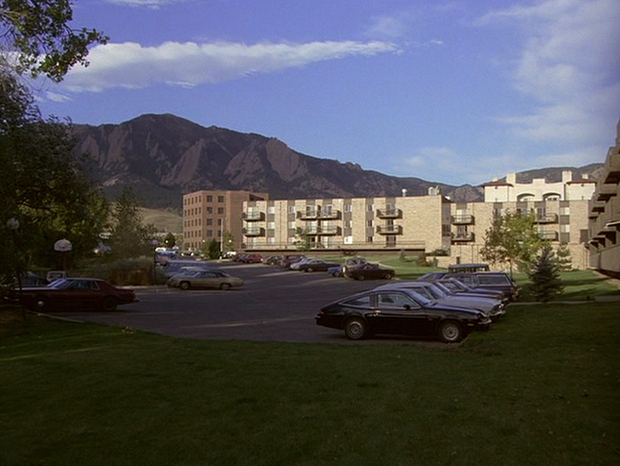 The apartments look much lighter in the below image of them from the film. They do from a distance and in certain lights. I have also slightly darkened them above with photo editing. 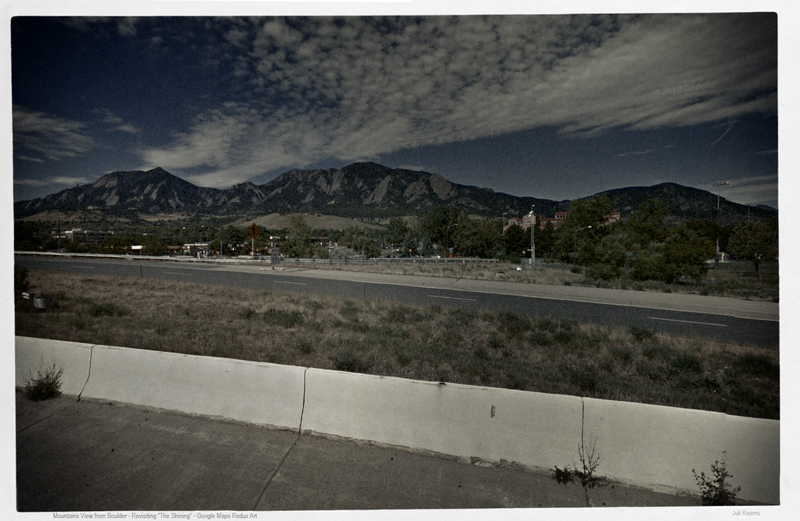 A few months back I used google maps to go through the shots of Jack’s VW making it’s way up to the Overlook during the opening credits (you just never know what you might find…). All the shots are of the Going-to-the-Sun highway and all the shots, except for one, progressively make their way up the highway. The out-of-sequence shot is of the Beetle, not quite at the lake, driving through the field – it should have been first. John, I’ve certainly had fun with it. The west tunnel is out of sequence as well. Jack is still traveling west when he goes through that tunnel but the west tunnel is on a different part of the road, far past the loop. Jack traveling west on that would have eventually turned at the loop and headed east and met the Jack who was coming from the east. I’ll post tomorrow the couple of shots I have of the family going up the mountain on Closing Day. In these they are all coming from the west, traveling east. Ahh, I just assumed the tunnel jack travelled through was the east one. I stand corrected. Funny I read your post but I guess it didn’t click in. I briefly looked for the closing day shots ones too but didn’t really come up with anything – glad you have – the scene with the waterfall almost feels like they are heading downhill. At first I had thought it was the east tunnel as well and then realized the parking didn’t match.